Here is a list of accumulated Dana 44 related part numbers and descriptions. It will be edited as new numbers are found. If you have any updates or corrections please PM me. These part numbers compiled off TGO and my personal parts buying experience. 14044889 Differential Case Kit (Bare) For 3.31:1 ratio, less internal gears. 10132882 Differential Case Kit (Bare) For 3.92:1 and 4.09:1 ratio, less internal gears. 3957940 Differential Thrust Washer For 22 plate positraction. 12545628 Universal Joint Kit Cap size 11/8" x 11/16"
3910340 Heavy-Duty Rear Axle Bolt 7/16 - 20 x 13/4" long. 3819780 Heavy-Duty Rear Axle Bolt 1/2-20 x 27/8" long. 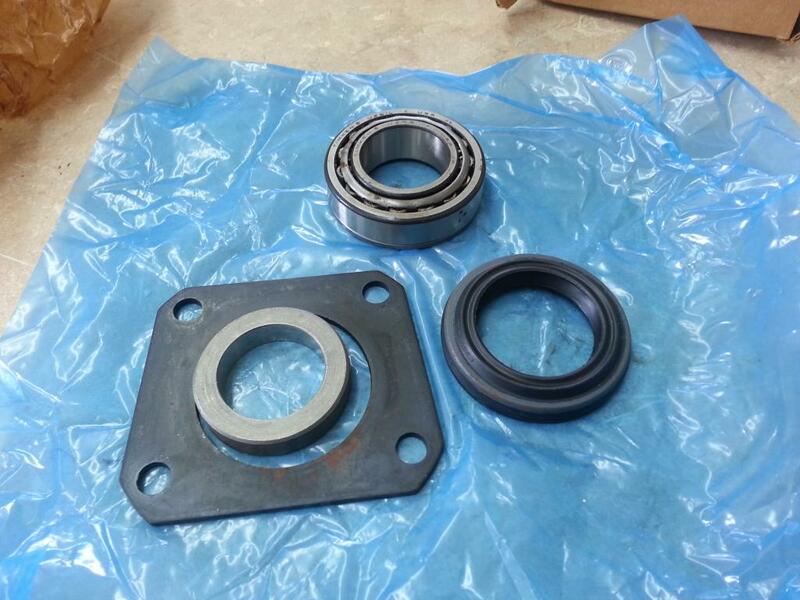 14044892 Rear Wheel Bearing Kit, Outer Incl oil seal retainer, oil seal, bearing assembly, and ring retainer. Last edited by Justin89Formy; 05-21-2014 at 06:52 AM. Why post a useless part number? 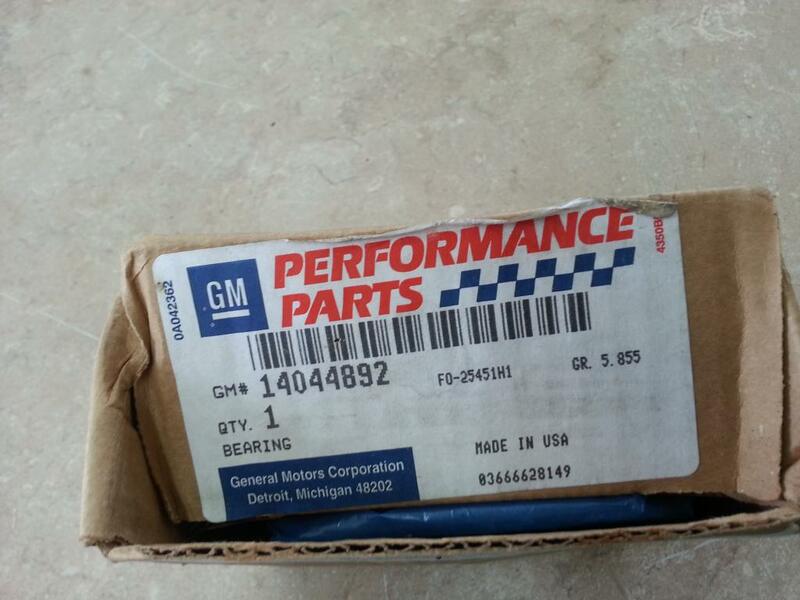 I just looked up the "Complete axle part number 14044853" on gmpartsdirect.com, no results. There are a few out there, well-used, but there will never be any more. Last edited by Justin89Formy; 04-28-2012 at 10:08 AM. 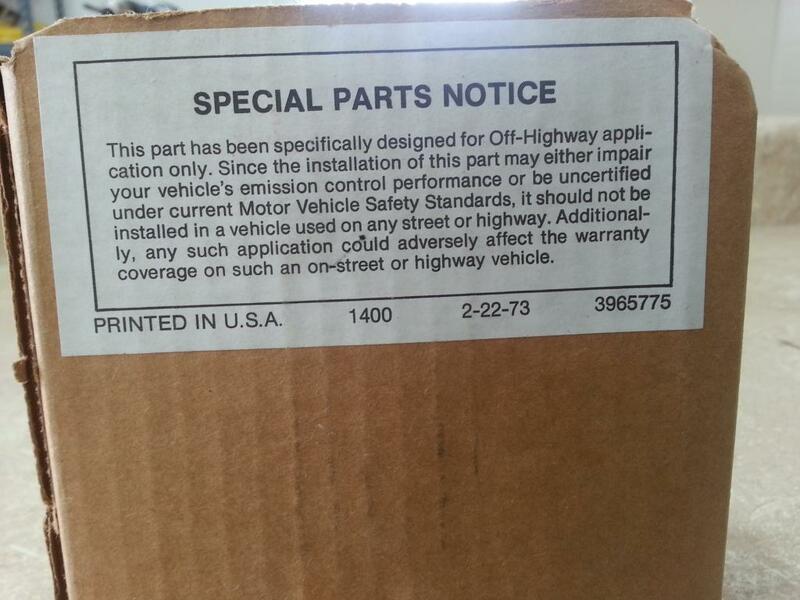 Attached is the GM installation bulletin for Dana 44's. I recently picked this up along with a rear and figured I'd throw this up for everyone. Thats amazing! Thanks for posting this! I will take those numbers and update my post later today. Well, it wasn't going to do any good just sitting in a folder! I've been looking for that installation manual for years! Thanks for posting all this info. Here are a couple of engineering drawings I got when I purchased my Dana from a guy that worked at the Dana plant in Indiana. He "purchased" his factory direct and installed it in his SCCA Camaro. I've sourced a few factory manuals on-line as well. There are probably some duplicate numbers here (to Justin's list) but this is lifted from the GMPP catalog of the day. hmm just exploded the carrier in my 44 today and looking for a new one anybody have some good ideas? 500 hp t-5 and 12" slicks on my autocross car leaning toward true trac but not sure. Anyone happen to know the axle offset? For some reason mine is 3". I need to take a look at my axles. I assumed it would be the same as my 9 bolt (~2 5/8"). skinny z, would it be possible to send me hi-res versions of your engineering drawings? I'm not sure. The prints are 18" x 24" so to capture the full image it's a long distance shot. What I could do is take close ups and try to cover the whole thing in 4 or 5 pictures. I could e-mail them to you which will help the quality as well. That really helps. The drawing shows an axle offset of 2.618"
My Dana 44 that I am building came with 2 sets of axles both of which were around 3" offset. These axles look stock to me. See picture below. So this whole time I had been assuming they were the same offset as stock. Because they are supposed to be. So I sent in one of the sets to be copied by Mark Williams. Only after a few months of designing and building brake brackets (for a set of CTS-V Brembos), ordering HRE wheels, etc... did I realize that these axles have a different offset than my old 9 bolt. - I spec'd my wheels to the old 9 bolt assuming the "direct replacement" D44 would not change the fitment. So now my wheels are going to stick out an extra 3/8" due to the extra offset. Not good. I already had them sped'd pretty sporty. 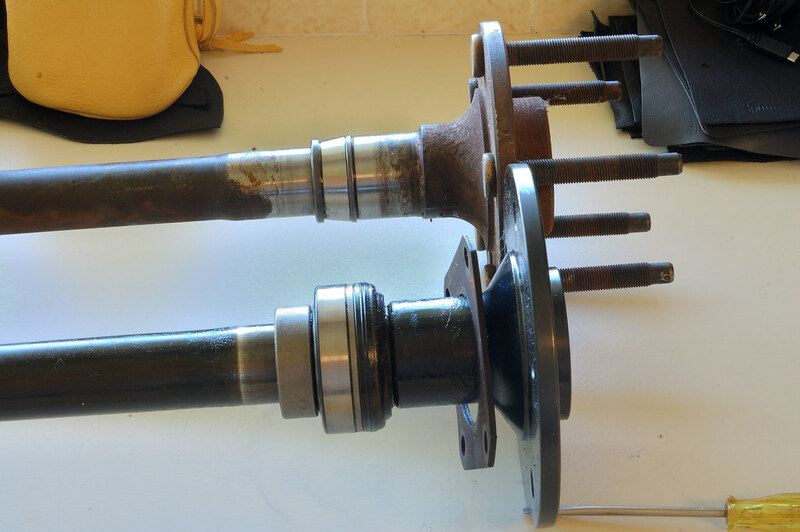 Does the axle above look like an OEM D44 axle? Can anyone confirm the axle offset of their actual D44? 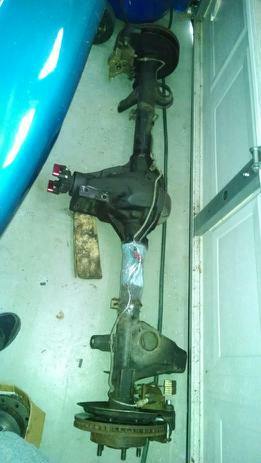 In back is the axle that came with my D44. In front my new Mark Williams axle. If my Dana were still in pieces I could take a few pics. That's not the case, however it looks like the axles I pulled out. If memory serves...Sorry I can't help you on the actual offset. There a few characters on this forum that have these differentials. I think one of them posted that his has just blown up. He might have it in pieces by now. You would have to search for him. Is it not possible to have the axle machined to reduce the amount of offset? Considering that it's been machined to get where you are now, It would seem a simple task to turn the backside of the flange down another 3/8ths or so. Yup I hear you. Machining the axles down probably wouldn't be to hard or costly. However I just had my custom Brembo brake brackets made ($$$$) which I designed to fit the axles, before I realized I had an offset issue. So those would need to be rebuilt or modified as well. I'll measure both housings. I have both the 10 bolt and the dana out of the car at the moment. I'm not sure what goes into the CTS-V brake swap but this website has always had a wide variety of conversion parts. Ed Miller has supplied my braking components in the past (although lately I hear he's been having trouble keeping up). Maybe you can find a solution for your caliper brackets there. What are you needing? housing flange to outer axle rotor face measurement?? I'm not sure if it helps or not but I took factory 10bolt caliper mounting brackets and bolted them on with no mods soo that offset should be the same. If Im understanding what your saying..
Yeah Ed doesn't have a solution with e-brake. Here are the full details on my swap if you are interested. Yup thats exactly what I need. Also like on the bottom right in the picture below. I know its supposed to be the same, but I just can't explain whats up with my axles. Sorry for the delay. Both axles measured to 61.5" at the axle-face. Both have the older style Delco Moraine backing plates mounted; I took measurements from the axle face to the backing plate on both axles: 2.387" on the 10 bolt and 2.423" on the '44. Call it a ~.030" difference between the two. Just for the sake of reference, the D44 is from the early 80's and the 10 bolt is a 7.625/28 spline 10 bolt '91 formula rear. Last edited by 90firebird; 06-30-2012 at 08:46 PM. It was in the 80's, whenever Super Chevy threw one in a 1982 Z28 project car. I purchased my rear from Doug Marion, former editor in chief of Super Chevy. According to him, the first ever order was for three of these rears: one for the 82 Z, one for another magazine's 83 Z project car, and one that he simply kept for himself. That third rear never got installed in a car, and is the one that I eventually bought. So the 2.423" is to the brake bracket, not the flange, right? So offset would be 2.423 + bracket thickness. IIRC all my GM brackets have been around 1/4". So the offset would be around 2.68". Sound about right? Any chance you could snap a picture or two of the axle. I'd like to see if they are visually the same as the ones that came with my axle. Also, since your axle is so early, do you think its the same as the axles delivered in 90+? I suspect they would be the same. Correct: to the brake bracket. As you mentioned, the bracket itself is 1/4" thick, plus the axle retaining plate which is .120". So, total to the actual flange would be around 2.8". So you're estimating late-'82? As in, we could've had them in all '84 Z28s and T/As if someone had had the good sense to fire all of GMs bean-counters? I am almost certain that it is the 82Z with the doug nash 5 speed mentioned here. Unless someone had access to this article, we don't know if it infact had it swapped in at the time this was written. Last edited by 90firebird; 07-02-2012 at 12:11 AM. I am getting ready to install my Dana 44 and was wondering if these rear axles came painted or unpainted when purchased over the counter. Check out this thread and go to post #44. ESC may have some information as he bought his new. [quote=skinny z;5490824]Check out this thread and go to post #44. ESC may have some information as he bought his new. Thanks...I just found out they came unpainted. 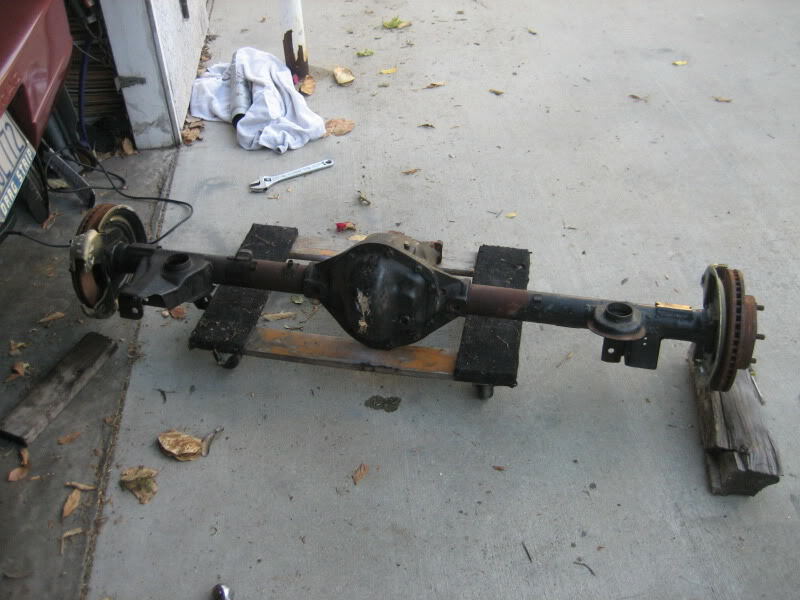 I will be starting a new thread soon detailing my Dana 44 restoration and install. Guys with Dana's have your rear axles been painted or left original. I am not sure of what to do. I want to leave my car's look factory... My 7.5 rear was not painted originaly. Let me know what you think. I wouldn't hesitate for a second to paint it. I'd want to preserve it rather than let it slowly rust. Last edited by skinny z; 02-16-2013 at 08:09 AM. 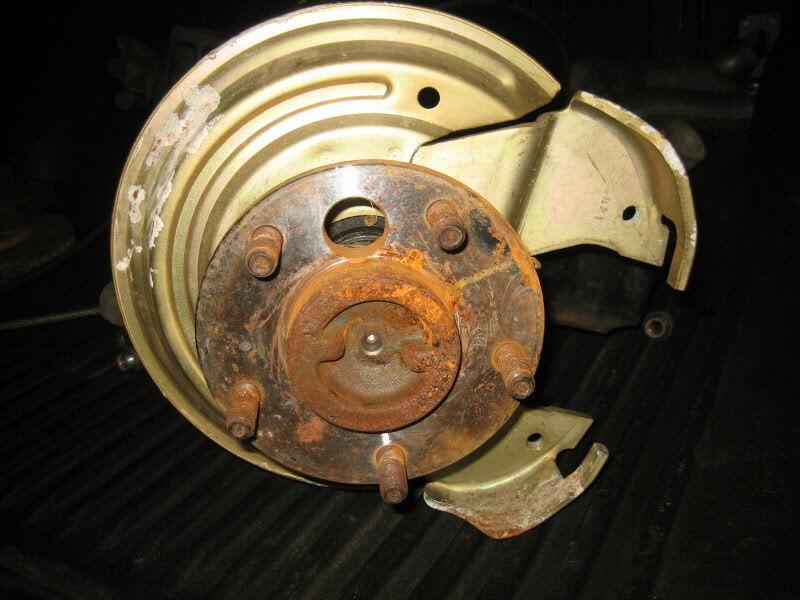 I will be swaping my original 1984 Z-28 disc brake 7.5 with a Dana 44 and would like to know if backing plates from 7.5 will fit. Found out today that I have a leaking axle seal. 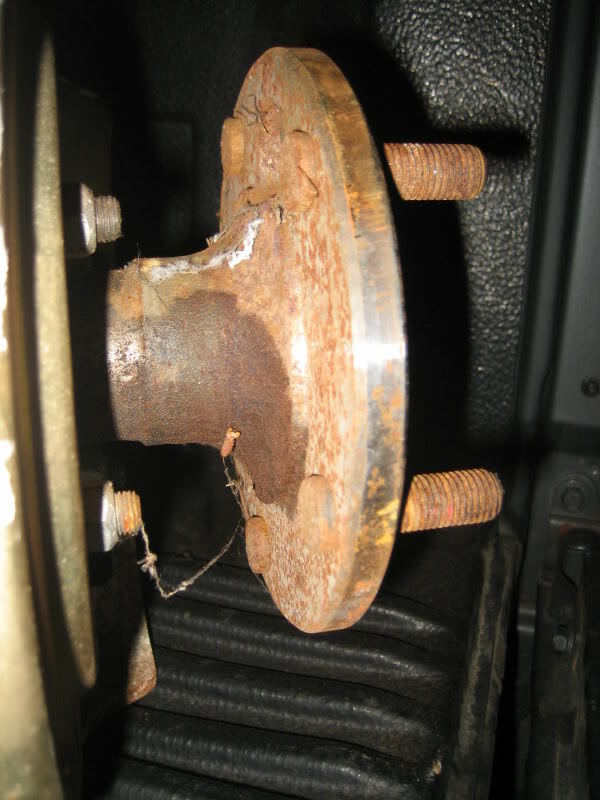 I'm pretty sure its a worn axle thats doing it. I have a pair of NOS axles I can use, but I'm about to put a supercharged LS1 in my car and I'm thinking now is the time to upgrade the axles. I know people said Moser makes/has made axles for these Danas but does anyone have a part number or measurements needed to order from Moser? I talked to SLP the offered the Mosser Axles back in the day P/N long lost they told me to call Mosser and ask for the oldest tech the still have working lol. On the Dana I have, It is from a Firehawk race team and looks to have been painted from day1 because there is no rust under the paint at all. Moser or any axle company can make custom axles for almost anything. ok so i called and talked to mosser and yes they did make these axles and still have the part number and the specs for them HERES THE CATCH the guy said the reason they quit is because the cut and dry process they used then didnt always insure the correct backspacing for the brake alignment so if you wanted to take the chance they will make them with the old specs or what he suggested is send them my axles and it takes 2 days from when they get them to have new ones on the way back to me so after someone does this if not me first maybe they wont need the original axles anymore as long they keep the measurements like he said they would so whos up first??? is there a definitive length to each axle? I have 2 NOS axles for either the right or left side. If I can send one of those in, and say "make the other one an inch shorter" and it works, I would be up to doing it. I know this is a old post but i was doing some work to my 1983 trans am last weekend and looked at my dif cover and said. Wtf how did that get there. How's your Dana holding up? I went back and re-read your post from 2011 about the carnage from having no lube. Have you had the chance to put many miles on it or beat it up at the track? How is it for noise? I'll be taking mine apart again in the spring and rebuilding it. I still have the noise problem I had posted before (Richmond Gears? Timken (made in India) bearing)? I'd like to know what your rebuilder used for a manual (if it's possible for you to find out). its holding up great! Im running richmond gears and timken bearing s and have a slight whine. My buddy David lives in cars it seems. He knows a TON about cars and has probably worked with many Dana before in his Jeeps and 4WD, and the fleet of mail Jeeps he was maintaining lol He rebuilt mine. A 4WD guy would be the one to talk to. I'm finding that out. I have a Trans Am car builder http://www.bcracecars.com/ that has experience with the D44 as it was installed in 3rd gens. I'm hoping his familiarity with it will quiet this thing down. If not I'm off to the local off-road shop. Yeah. About 600 miles. I've done the trip a few times. Once with my old IROC on the back of a flat bed for part of the trip (long story). I hope to do it this year with the freshened engine and possibly rebuilt rear end. It's sort of a test toast before I drive it 6000 miles to western Canada later this summer. You can see how I'd need this diff to be in tip top shape.